AMOR helps fight maternal mortality and save the lives of mothers and children worldwide providing education and health. The AMOR Kasese Maternity Clinic is making a high impact difference in Malawi – a country caught in the epicenter of the HIV/Aids pandemic and suffering a maternal mortality rate that is one of the worst in the world, almost 1,000 per 100,000 live births. Ladies and gentlemen I’m so happy to be with you all again – my friends and my family here in Malawi. I am so happy to be back on the land that since my birth has never left the soles of my feet. It is wonderful to see this maternity unit now being used and working to save the lives of mothers and children. I’m so grateful to Dr Chris Brooks and Lifeline Malawi for their part in this wonderful partnership with AMOR which has led to this special day. It is also a great honour and privilege to be able to welcome His Serene Highness Prince Albert of Monaco here today, and we’re very honoured that he has agreed to find time in his busy schedule to come and formally open this unit. It’s also a great pleasure to welcome honoured friends and dignitaries from the Government of the Republic of Malawi here today, and in particular Vice-President Mrs Joyce Banda. As Ambassador of the Institut Pasteur I would also like to thank Dr Cecile Delval who has come all the way from the Insitut Pasteur in France to accompany me, This is a wonderful opportunity to share my project with Institut Pasteur, and for us to build a strong collaboration together in the field of medical research and symbolically this has been done with gift of a microscope for the maternity unit. Before I hand over to His Serene Highness I would like to read the prayer of St. Francis which is my prayer for all of us who are involved in the work of AMOR, Lifeline Malawi and this maternity unit. 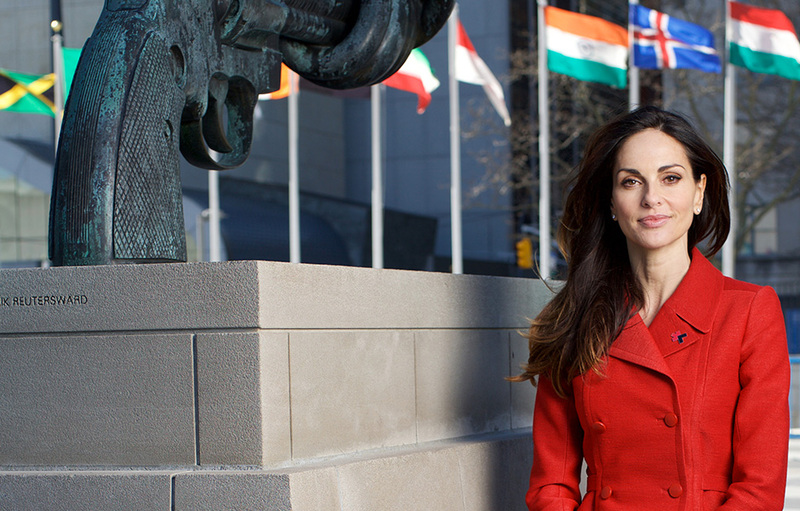 Tasha de Vasconcelos is honored to be appointed as a UN Women Global Champion for Planet 50-50 by 2030. 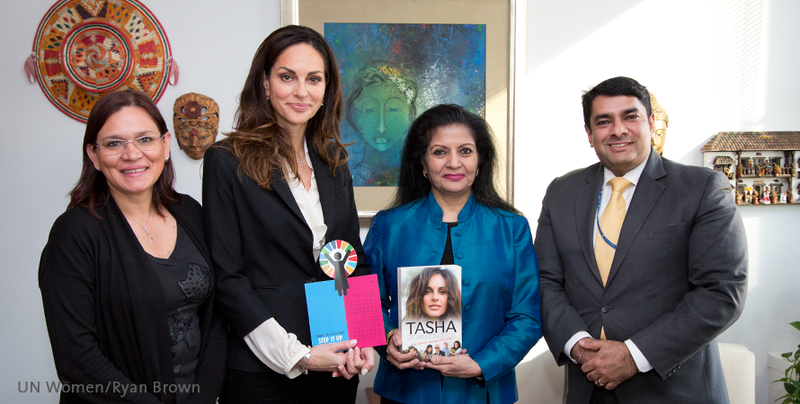 Our champions are women and men who have made gender equality and women's empowerment their cause and mission in life. Hear from them on why they have made women's rights their top priority and what you can do to join them!